Compared to when Maynard James Keenan resurrected A Perfect Circle earlier this year, the buzz around around Daron Malakian regrouping with Scars On Broadway seems considerably more muted, but has ultimately heralded the same base point – it’s going to be a lot longer before a new System Of A Down album. Of course, like with Tool, that’s hardly a huge revelation, but it’s disappointing all the same, especially considering that, while good overall, Scars On Broadway never produced anything that could even come close to matching System Of A Down at their best. Still, for a band who trade in more blunt, broad political sentiments, now is as good as any for a Scars On Broadway comeback, and for as abysmal as the artwork is, there’s at least potential behind Dictator for it to be good. And in a nice change of pace from these sorts of projects, the general consensus is that Dictator is pretty good, if only because it’s so easy to tell at points that these were originally penned as System Of A Down songs. The staccato vocal flows on Lives and Angry Guru were clearly written with Serj Tankian’s manic energy in mind, and the violin line that slices through Never Forget is the sort of off-kilter touch that’s a mainstay in System Of A Down’s work. And on the whole, Malakian does a fine enough job at taking up the mantle, seeming to slide into each guise well with a more punk-oriented, almost cartoonishly vibrant delivery on a track like Sickening Wars. Those weirder edges are still missed regardless of how well Scars On Broadway do, but the fact they’re able to keep hold of attention as much as they do is a testament to the capabilities of their decidedly concise brand of alt-metal. That’s not to oversell this though, because Dictator is still far from perfect. For one, the modulation could really use some work, as beyond the ballad Till The End and the instrumental track Gie Mou, this is a fairly one-tempo affair. Granted, a track like Guns Are Loaded may work itself into different forms, but that also leads into the other big issue with this album – the writing. Again, it’s understandable why Scars On Broadway have taken this form overall – it’s already the more hard-hitting counterpart to System Of A Down’s erudite dissection, and with Malakian’s well-documented impatience to get more music out there, it shows more than ever – but they’re largely the sort of big, empty political statements that really struggle to fly nowadays, especially with the wealth of material there to really go in on. If there was less energy or blind firepower than there is, it would be much more of a mitigating issue, but it’s still not great and seems like something pretty easy to rectify. And considering the notions of Scars On Broadway simply being budget System Of A Down that have floated round in the past, Dictator doesn’t do a lot to quell them. It’s still pretty good as it is, and Malakian’s creative drive is something that shines through in spades, but it doesn’t exactly last or warrant repeat listens beyond a few individual cuts. Still, it’s probably the closest we’re going to get to anything System Of A Down related any time soon, and in that regard, it at least scratches a few of those itches. 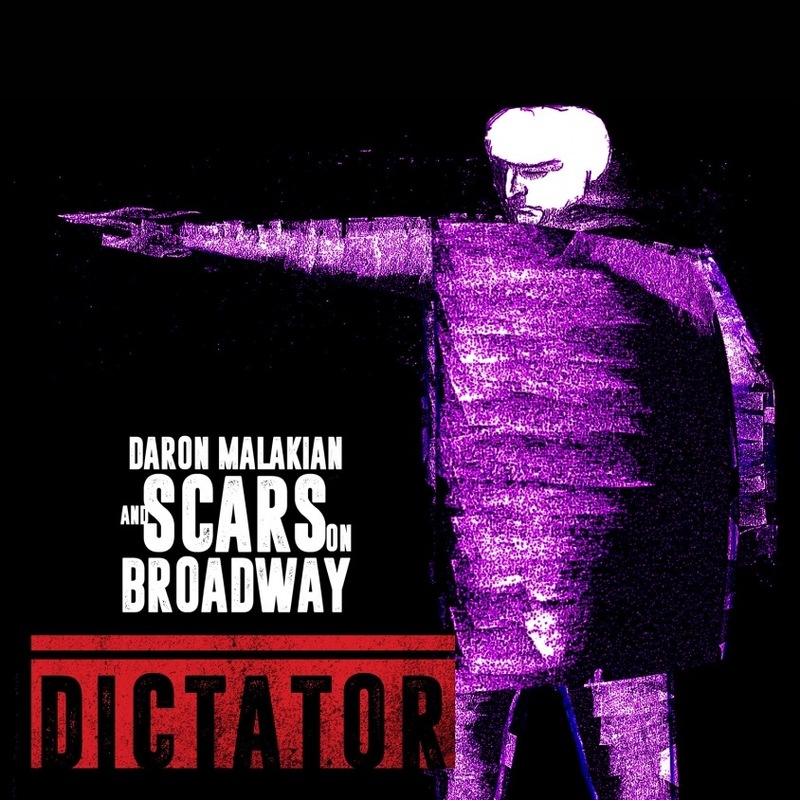 ‘Dictator’ by Daron Malakian And Scars On Broadway is out now on Scarred For Life.